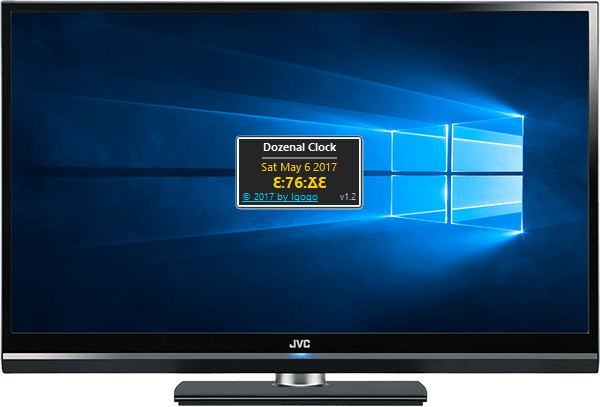 ﻿ Clocks Windows 10/8.1/7 Desktop Sidebar Gadgets. All free. 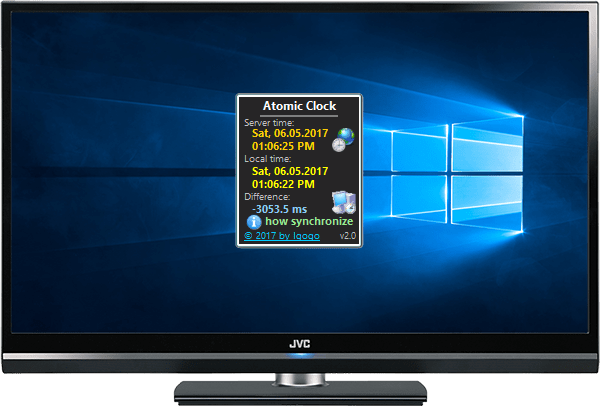 Atomic Clock is a simple Windows 10 gadget that connect to atomic clock servers compare your local time with the current atomic time and shows difference between local computer time and actual time. You can also correct your PC's local time automatically or manually using Window Time/Date applet. Full customized. 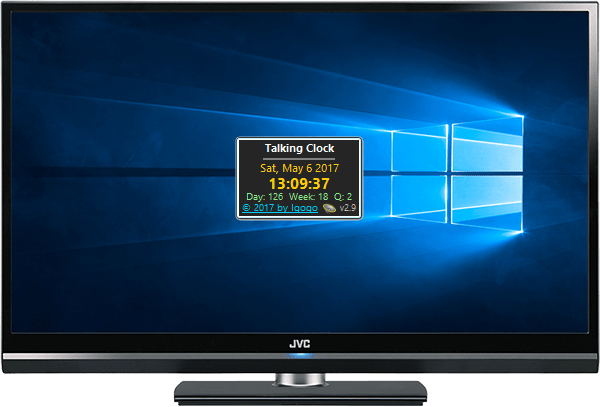 If you are finding it difficult to check the time in the taskbar, you can use the Talking Clock unique Windows 10 gadget that speaks out the time repeatedly, at regular intervals. Also it has the ability to tell you what time it is in a loud and clear voice by request. Gadget is easy and full customized. 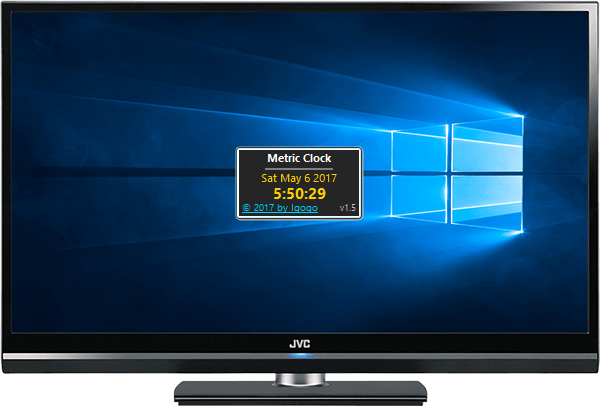 Metric Clock is Windows 10 gadget that displays time in the Metric system, where 1 metric hour equals to 2.4 regular hours. In Metric system our 24 hour day has 10 hours, 1 hour has 100 minutes, 1 minutes has 100 seconds and 1 seconds has 1000 milliseconds. Very easy for remember this. Metric (also known as Decimal) time of day had been introduced in France in 1793. This term is often used specifically to refer to French Revolutionary Time. 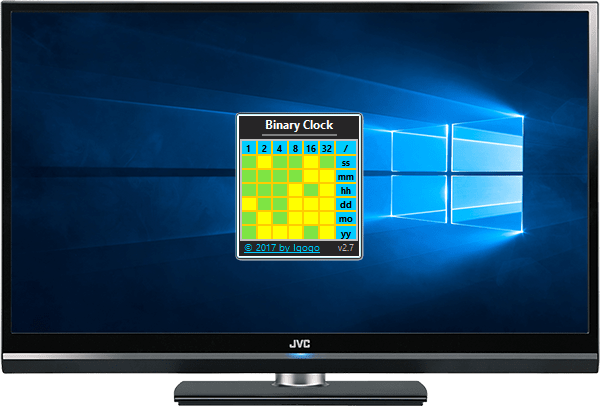 Binary Clock is a neat and innovative Windows 10 Gadget that shows you the time in binary on your desktop. The few real binary lovers are should be very pleased with what Binary Clock has to offer.